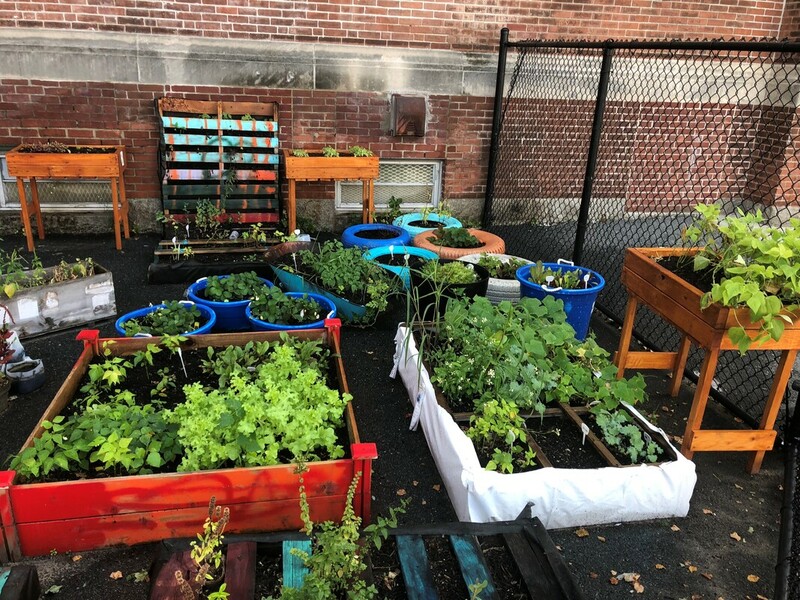 A school garden can provide a multitude of experiential learning opportunities for students across many academic content areas, such as science, math, reading and art. School gardens allow students to have a hands-on approach to learning and make a classroom curriculum come alive and become more relevant. 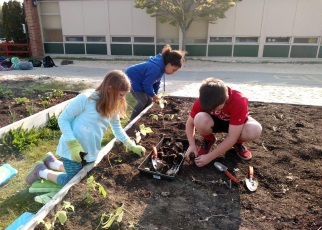 Garden programs bring students into an outdoor classroom where broader lessons about nutrition, physical activity, and the environment take place. 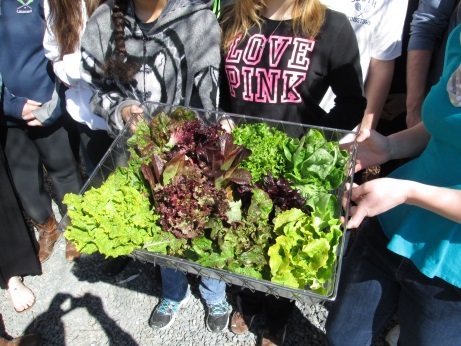 Whether growing vegetables, fruits or a variety of herbs, edible gardens are a valuable tool that schools can use to promote healthier eating and active living while sharing with students an appreciation of locally grown food and environmental stewardship. Kids are more likely to eat and enjoy foods they have planted and harvested themselves, and gardening is a great exercise! 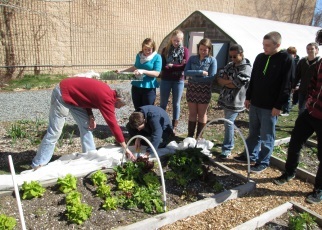 Garden programs improve student attitudes towards learning and can increase overall academic performance. Students who garden develop other skills such as curiosity, flexibility, creativity and critical thinking that help them learn more effectively. Research suggests gardening in school improves students' social skills and behavior while working together with their teachers and each other. School gardening can take the form of an indoor window garden, planter box, hydroponic system, outdoor raised bed, hoop house, greenhouse, or even a school farm! The The URI Extension Outreach Center and USDA's Team Nutrition Garden Resources websites are both full of valuable how-to information, tips, funding ideas, and even games - be sure to check them out! 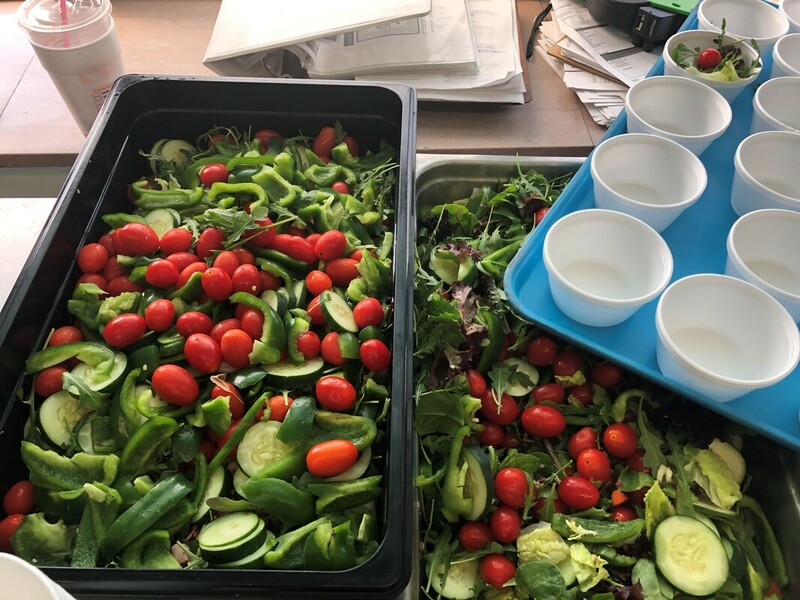 Consider inserting school garden language directly into your school wellness policy, which will integrate nutrition education and promotion into the larger school environment and increase the garden’s sustainability. If you need more information, a great place to start is with our handout Incorporating School Garden Language into School Wellness Policies. 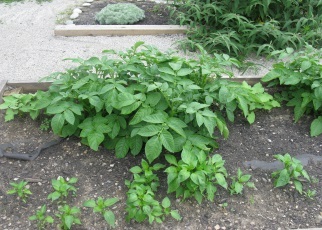 ​and thanks to a fantastic custodial staff, the garden flourishes over the summer!